He didn’t hesitate. When the Camel Corps over on the left yelled for a stretcher bearer, Frank Campbell of the 11th Light Horse Regiment took off, running along the side of a hill amid furious blasts from heavy enemy shelling. His comrades lost sight of him - but he didn’t reach the Camel Corps. The British and Dominion assault on Gaza stalled and later that day – 19 April 1917 – the attackers withdrew. Frank’s fellow light horsemen feared that ‘he must have got caught by a shell’. One described him in the following way: ‘Very red face, tall bigly made… sometimes a moustache ginger coloured, sometimes not, he was a very fine chap. He was in A troop, everybody was extremely fond of him. He was a stretcher bearer’. A Board of Enquiry concluded on 17 May that there was not enough evidence to state whether Frank was killed in action or taken prisoner. Advice received later from the Ottoman Red Crescent was that Frank had died on 20 May 1917 in a hospital in Nazareth from wounds to his left leg, fractured shin bones, enteritis and septicaemia. A matron with the Edinburgh Medical Missionary Society who had been in Nazareth at the time, included in a statement that Frank had been attended by an Arab doctor ‘who spoke English and was good to our men’. In September 1917 Frank’s mother Ethel received an undated postcard that had apparently been written by him while in No 18 Military Hospital, Nazareth. It said ‘I am wounded in left leg, but doing well, in big hospital being well treated’. Ethel tried to have a postmark date identified, but without success. Frank was buried in the Protestant cemetery in Nazareth, and in 1919 re-interred in the Haifa War Cemetery (Row A, grave 73). His mother was assured that such work ‘is carried out with every measure of care and reverence in the presence of a Chaplain’. Born in Kelvin Grove, Brisbane on 25 November 1890, Frank was the fourth child of James Mitchell Campbell, merchant and Scottish-born Ethel Norris (nee Vidgen). His paternal grandfather, James Campbell (1830-1904) had arrived in Brisbane from Scotland in 1853 and built up a building supplies business encompassing a number of sawmills, a lime works, a glass factory and a number of ships. It later diversified into prefabricated houses, a quarry at Albion, the Buderim sugar-mill and the Redbanks brickworks. Four of James’ sons including James Mitchell Campbell, worked in the family business (James Campbell and Sons). Frank’s father was also known for his charitable and philanthropic activities. He was a founding member and volunteer bearer – often running alongside the horse drawn-litters - and later Chairman of the Queensland Ambulance Transport Brigade. In addition, he was a founding member and the first President of the Queensland Society for the Prevention of Cruelty (the fore-runner of the RSPCA), a foundation member and later Chairman of Blind, Deaf and Dumb institutions, and established a boys’ home at Nundah. At the time of his death in 1906 at the age of 46 he was in the process of establishing a girls’ home, also at Nundah. Frank attended the Kelvin Grove State School and then the Brisbane Normal School. After leaving school he went to work as a stockman on Thylungra station, in the Channel Country about 100 km north from Quilpie. Thylungra station had originally been established by the pastoral pioneer Patrick Durack in 1868 – it was from there in the 1880s that the Duracks set out on an extraordinary trek to the Kimberley region. In 1906 the property was bought by John Leahy, Robert Philp and James Forsyth. It was an astute buy, because the property was beginning to be converted by a new manager, Edwin John Pegler, from a struggling cattle run into a large and very successful sheep station. Over 100,000 sheep were shorn there in 1911. Family connections with two of the three owners no doubt played a part in Frank going there – one of his aunts was the first wife of Robert Philp, and another the wife of James Forsyth. Given the business instincts of the Campbell family, it is not hard to imagine that sending Frank to learn under Edwin Pegler was seen as extending the family skills and experience. 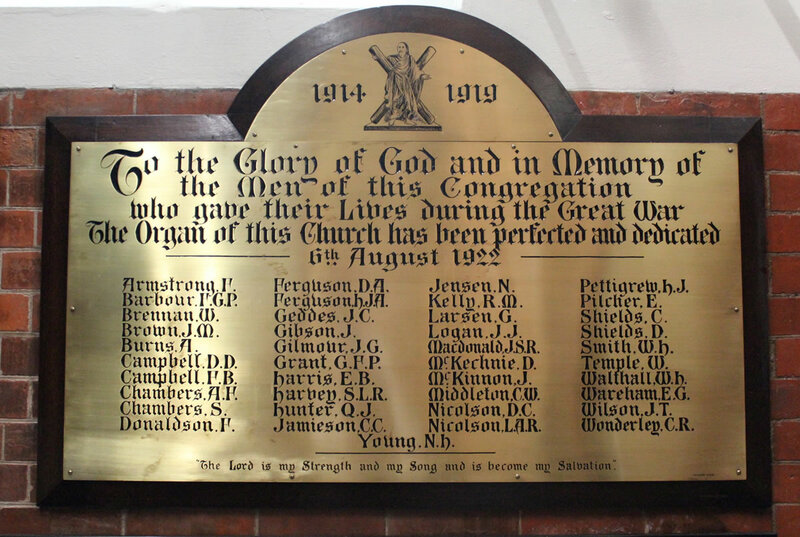 In completing a circular sent to next of kin for the Roll of Honour, Frank’s mother wrote that his calling was ’pastoral student’. After a stint on Thylunga, Frank moved to Bulgroo station, a smaller property in the same region that also predominantly ran sheep. Frank enlisted in Charleville on 3 March 1915. He was aged 24, 178.4cms tall, weighed 66.7kg, had a fair complexion, grey eyes and brown hair, and his religion was Presbyterian. He was placed as a trooper in ‘A’ Squadron of the 11th Light Horse Regiment. He embarked on HMAT Medic A7 in Brisbane on 2 June 1915. After arrival in Egypt training in infantry tactics began. Frank suffered a bout of measles and was in hospital in Heliopolis for three weeks, delaying his movement to Gallipoli. On the Peninsula personnel of the 11th were split up to reinforce the Light Horse Regiments already there – Frank were taken on strength with the 2nd Light Horse Regiment on 2 October 1915, and remained at Gallipoli until the evacuation 18-20 December 1915. In Heliopolis, Egypt the 11th was reunited and from July 1916 was part of the forces defending the Suez Canal on its eastern side. This defence was not static and involved a number of challenging long range patrols and reconnaissances, as well as raids on Turkish outposts in the Sinai. Then in April 1917 the 11th linked up with the main British and Dominion advance into Palestine. The advance had been frustrated at Gaza and the 11th took part in a second attempt to take the town on 19 April 1917 – the fateful day for Frank. 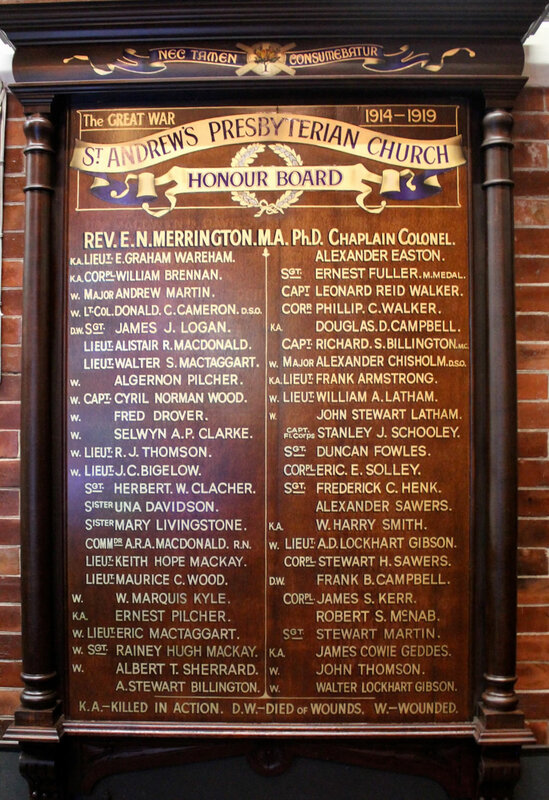 Frank’s mother was a member of the congregation at Saint Andrew’s Church (on the corner of Ann and Creek Streets in the city) and his name is recorded there on both an Honour Board and on a brass plaque listing those who made the ultimate sacrifice. He is also commemorated on the War Memorial at Charleville. In 1925 his mother and sisters made an around the world trip that included Palestine, and there they viewed the graves of Frank and his first cousin Douglas Dunmore Campbell (who is the subject of a separate entry). One is left to reflect on the potential that was lost with men like Frank Campbell, and to ponder on what role he might have played in the Queensland pastoral industry had he survived. • Australian War Memorial – Roll of Honour, embarkation records, Red Cross records. • Bou, Jean Light Horse: A history of Australia’s mounted arm Cambridge University Press 2009. • Campbell, AB and MB The James Campbell Story Brisbane 1990 – includes a section on James Mitchell Campbell. • Hammond EW History of the 11th Light horse Regiment, Fourth Light Horse Brigade, Australian Imperial Forces: War 1914-1919 Brisbane 1942. • Durack, Mary ‘Durack, Patrick (1834-1898)’, Australian Dictionary of Biography, National Centre of Biography, Australian National University, Volume 4, Melbourne 1972. • Lougheed AL ‘Campbell, James (1830-1904)’, Australian Dictionary of Biography, National Centre of Biography, Australian National University, Volume 7, Melbourne 1979.